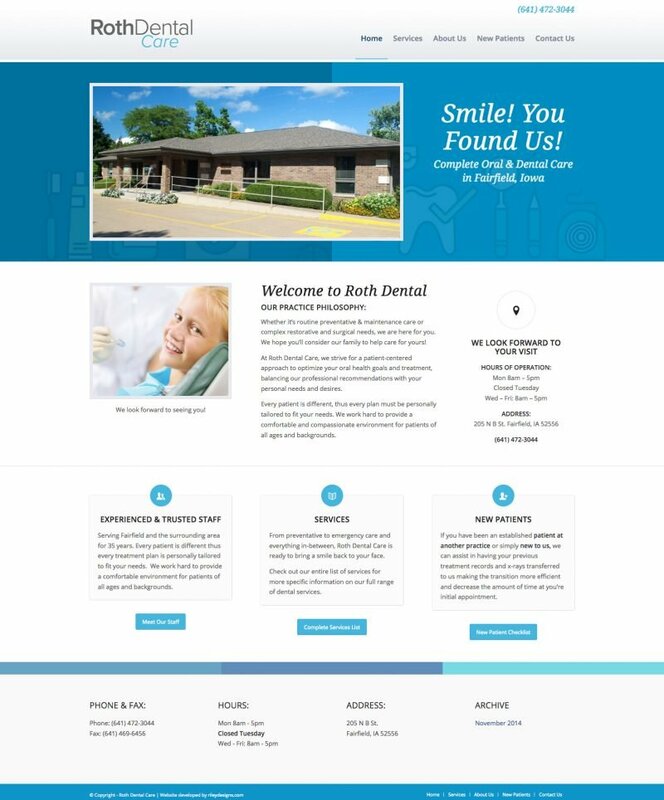 Details: Roth Dental Has built a long standing reputation in Fairfield Iowa but was missing a web presence which is becoming increasingly important with no signs of that trend reversing. This client needed to have the ability to provide patients with information about their services and help them prepare for their visits. Nice and clean and uncomplicated – just like you want your teeth to be.